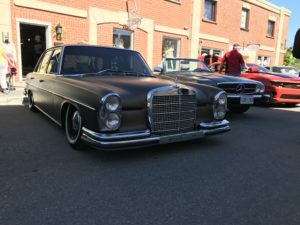 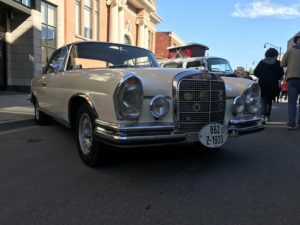 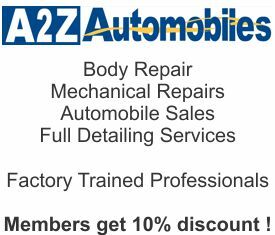 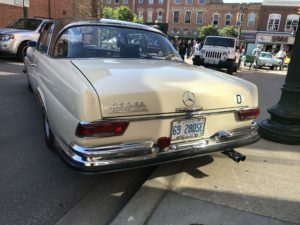 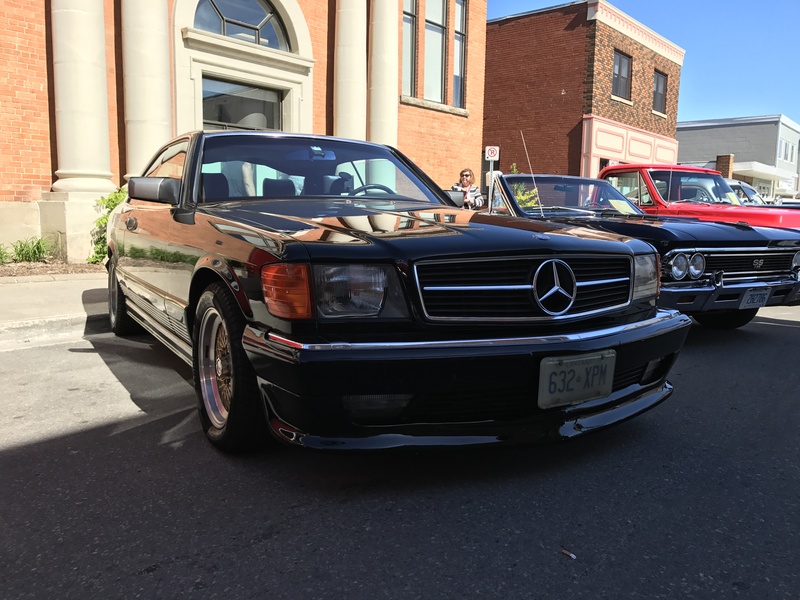 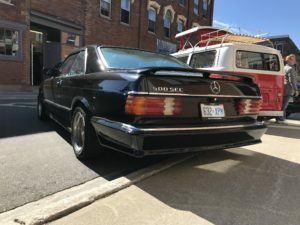 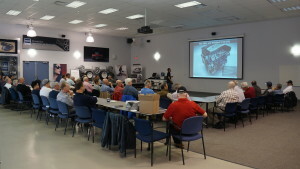 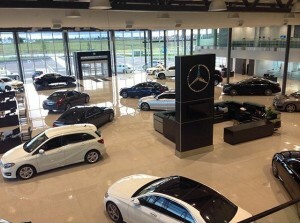 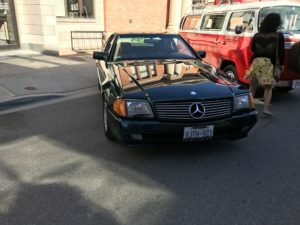 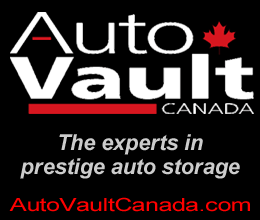 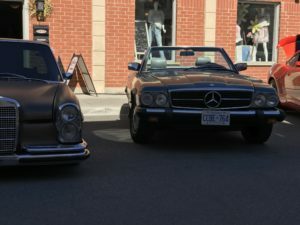 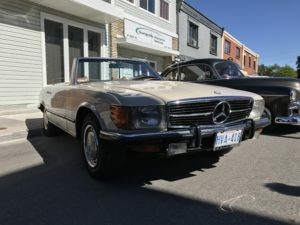 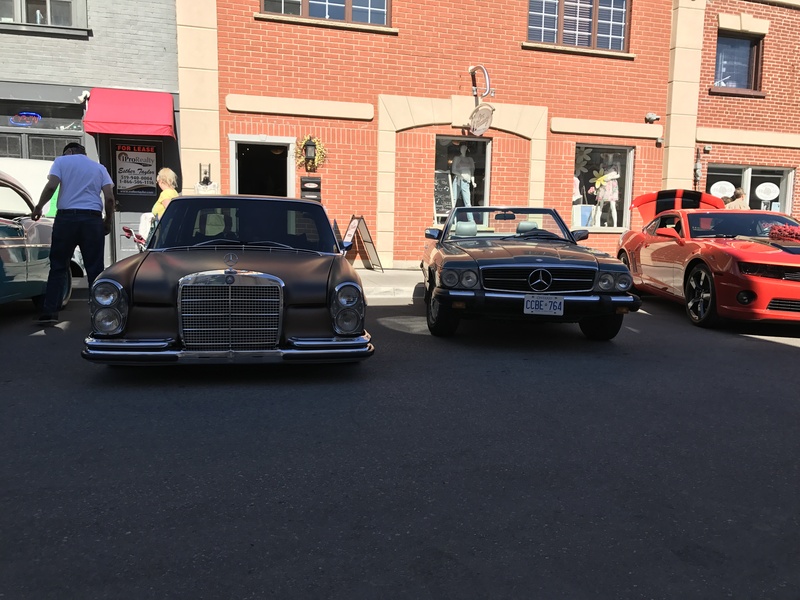 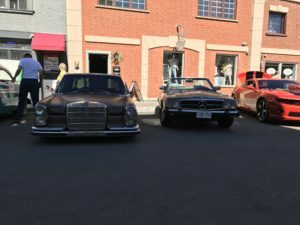 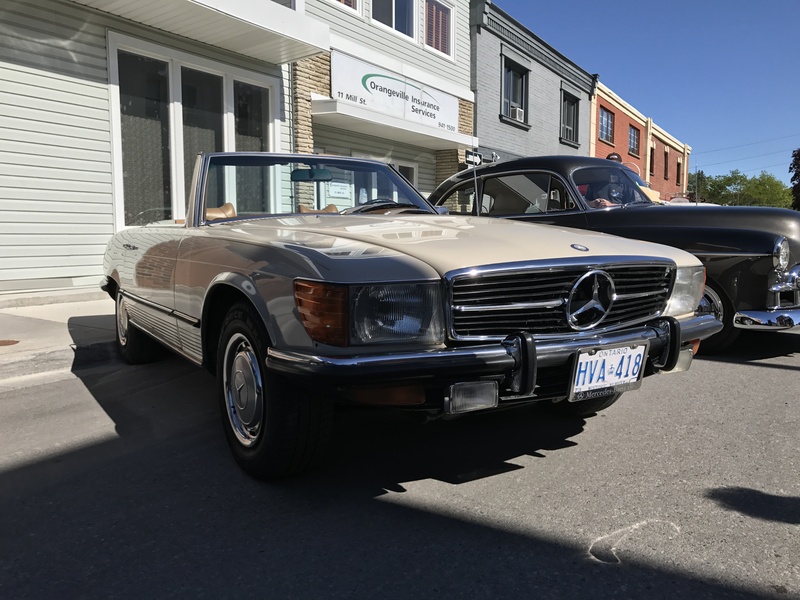 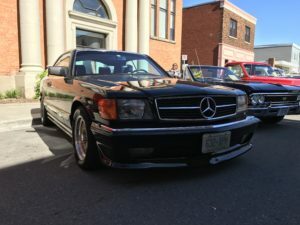 The Mercedes-Benz Club of America – Toronto Section, as well as, the Mercedes-Benz Club of Canada met at the 2017 Orangeville Jazz and Blues Festival, hosted in the heart of Orangeville, Ontario. 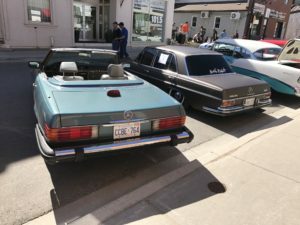 Amongst the many domestic vehicles displayed at the show, there were some German marvels to be found. 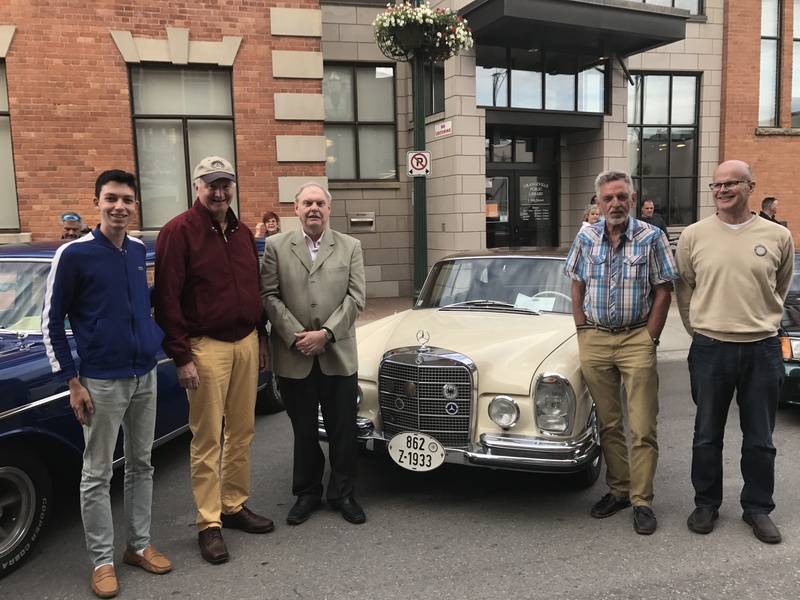 Doug Dees, Vice-President of the MBCA – Toronto Section brought his stunning 1969 Mercedes-Benz 280SE coupe. 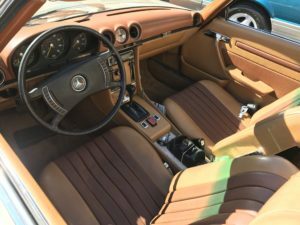 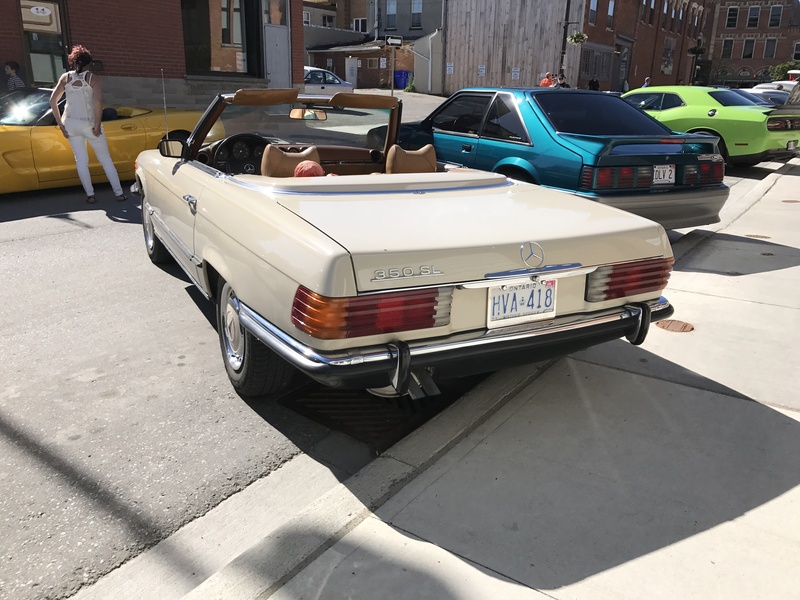 Rubin Howard, Media Director of the MBCA – Toronto Section showed up with his newly acquired 1986 Mercedes-Benz 560SL Roadster. 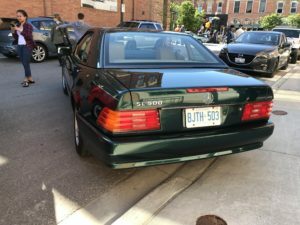 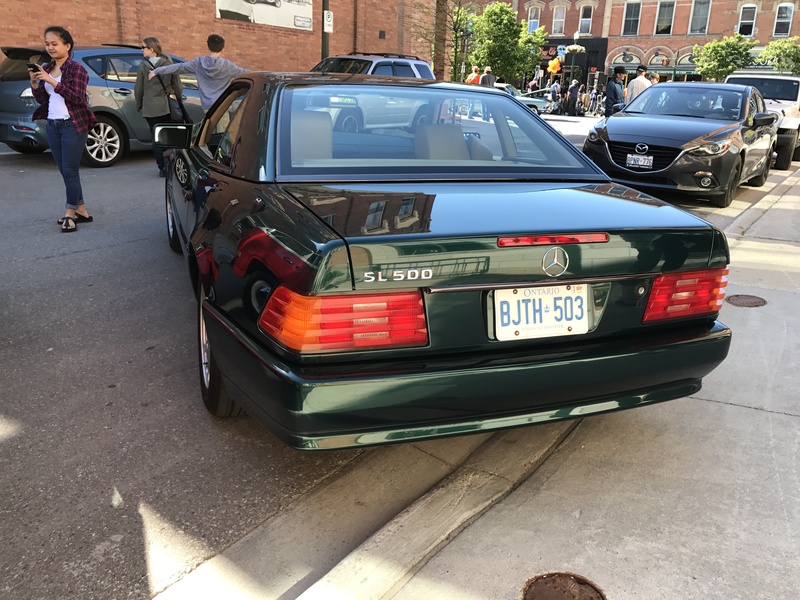 As well, Yves Gosselin of the Mercedes-Benz Club of Canada displayed his mint 1997 Mercedes-Benz SL500 Roadster. 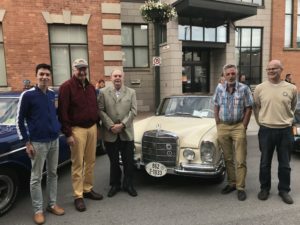 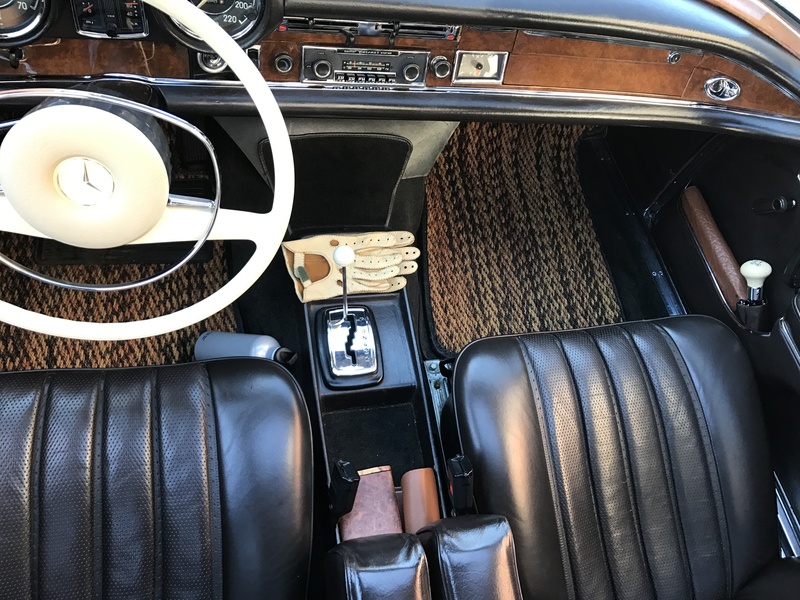 A W108 280SE 4.5, R107 350SL, & C126 560SEC were to be discovered on the show grounds.